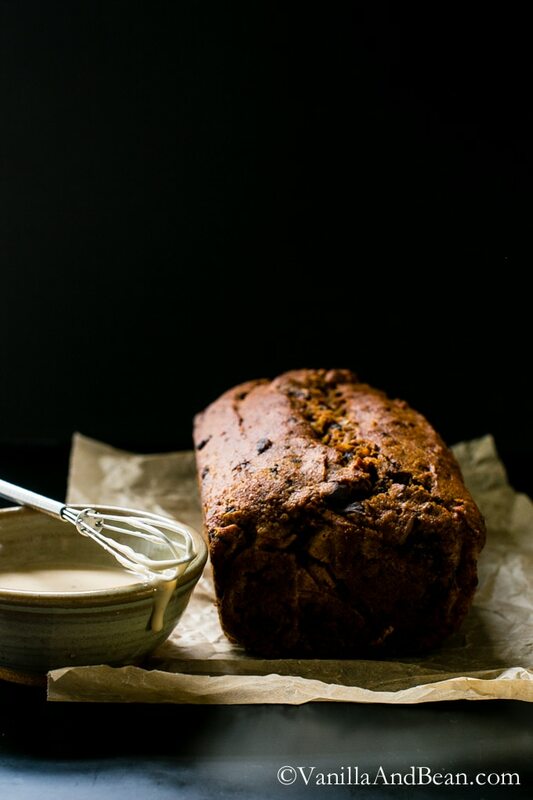 Made with a mix of spelt and white flour, this vegan Pumpkin Chocolate Pecan Bread is light, yet packed full of pecans, chocolate, and pumpkin. It’s finally feeling like Fall here and really, today was the first day of solid rain we’ve seen in what feels like years. Our rain barrels have been empty for months and we’ve been hauling shower-water to water outside plants including our trees. It’s been so dry. But, with all this rain, it’s been a beautiful day to stay indoors and bake, photograph and write with the sound of gently falling rain and the Golden-Crowned Sparrow sweetly calling outside the kitchen door. This vegan pumpkin bread has been a work in progress. I’ve been wanting to try spelt flour for the longest time but have been hesitant simply because I’m unfamiliar with it. Spelt is an ancient, whole-grain that has a slightly sweet, nutty flavor. It can generally be used in place of whole wheat flour in many recipes and works well as a 50:50 mix with all purpose in muffins and quick-breads, although I bumped it up a bit in this recipe. I’ve learned too, that spelt doesn’t absorb as much water as refined or whole wheat flour, so hydration needs to be reduced when making a substitution with spelt. With gentle nudges of support from Alexandra of Occasionally Eggs and Aysegul of Foolproof Living, I finally garnered the culinary courage to give spelt a go. Rob was apathetic except for his concern that spelt is not regular (his word). After roasting and pureeing almost 7 lbs of my favorite pumpkin, Winter Luxury from the farm, I decided it was time to start experimenting. After-all, I had been planning this bread for weeks in my mind. The crumb is tender yet sturdy with pops of bittersweet chocolate chunks and pecans to add notes of sweetness and texture. The brown sugar highlights warming pumpkin spice and the winter luxury pumpkin itself. Sweet, but not too sweet. I finished it with an optional Maple Vanilla Bean Glaze, which ads just a bit more sweet to this demure loaf. I’m curious to know your secrets about spelt. Have you tried it? How do you like to use it? Line a loaf pan with parchment paper or spay the pan throughly with pan spray. Preheat oven to 350F (177C). Place the chopped pecans in the warming oven for about 13 minutes or until lightly toasted and fragrant. Set aside to cool. In a small mixing bowl whisk the spelt and AP flour, corn starch, salt, baking powder, baking soda, nutmeg, cinnamon, ginger, and cloves. Set aside. In a large mixing bowl, whisk the oil and brown sugar until smooth. Be sure the oil remains in a liquid state. Add the vanilla paste or extract, apple sauce and pumpkin puree. 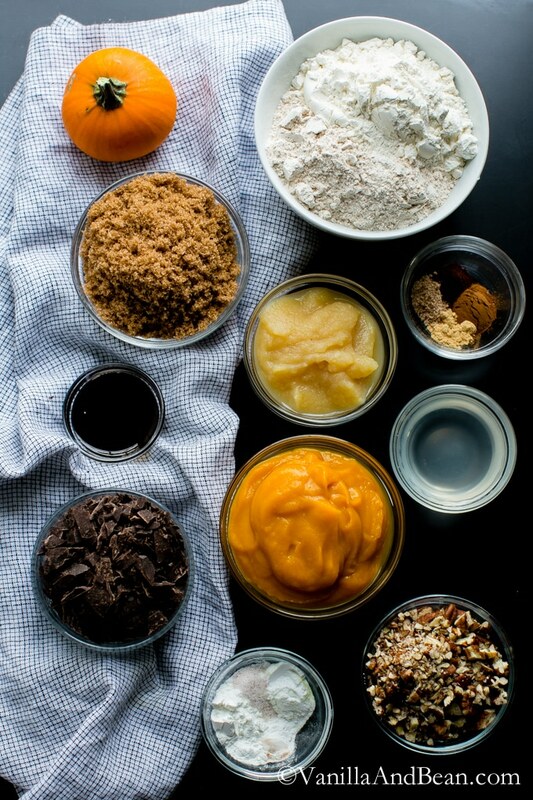 Mix until all the ingredients are incorporated. Add the flour mixture to the pumpkin mixture in two batches. Stir until the last bit of flour is mixed in. Fold in the pecans and chocolate. Spoon the batter into the prepared loaf pan and smooth out the top. Using a sharp knife, make a shallow cut down the center of the batter. This will help the bread rise evenly. Place the pan on the center rack and bake for 55-60 minutes, checking for doneness at around 50 minutes. Insert a tooth pick in center of the loaf to check for doneness. It should come out clean of bread crumbs, although the chocolate will stick. Allow to cool for at least 20 minutes in the pan. Use the parchment to lift the loaf out of the pan and place on a cooling rack allowing it to cool completely. Cutting into the bread prior to cooling off will result in a gummy bread. Once cool to the touch, drizzle the maple glaze over the top. Store covered at room temperature for up to three days. 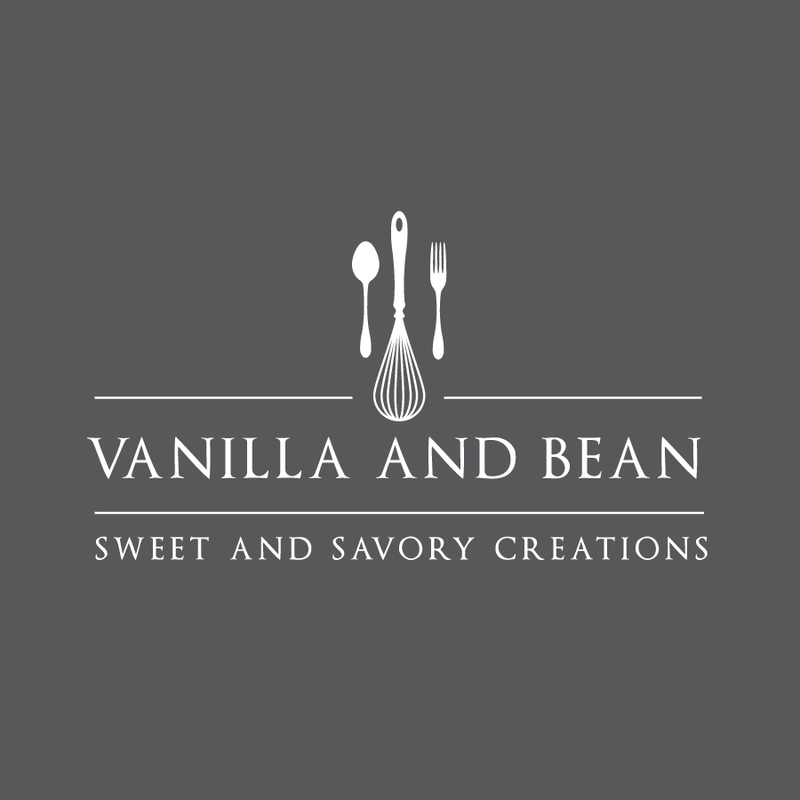 Combine the sugar, maple syrup, milk and vanilla bean paste in a small bowl. Whisk well. It can rest at room temperature while the bread bakes although it will develop a slight crust. Rewhisk the mixture as needed to remove the crust. Recipe adapted from my Cranberry Orange Bread recipe. I’ve made this twice in two weeks. Delicious with a pumpkin latte. The nuts and chocolate take this cake over the top. Would love to see a recipe for a healthier pumpkin cheesecake. Thank you for your hard work and wonderful recipes. Hey Holly.. thank you for your note! I love this recipe too and can’t wait to make it again this fall. I’m going out on a limb here since I’ve only made this recipe with spelt. However, if you do give it a go, you can try using all, all purpose flour (1 1/2 C) and bump up the pumpkin puree up to 1 1/2 C (instead of 1 1/4 C). You may have to bake it a bit longer due to the increased moisture, just keep an eye on it and do the toothpick test to test for doneness. I hope this helps! Yes, love spelt flour, Traci! It’s probably my first choice flour for baked goods. Often I use a combination of whole spelt flour with white spelt flour to keep things light. In general I find that it has both a more pleasant texture and taste than regular whole wheat flour. All of the the photos are so mouthwatering, but that last one especially with those chocolate chunks- shows how perfect you nailed this one! This recipe is great on fall season. Love the color. Hello Vicky, was wondering if you can help me, I can’t work out what the T stands for in the Maple glaze recipe Next to the Nut milk. It says ..
1 T Nut Milk. Does it mean Tin I’m not sure. Hi Julie! The T is for Tablespoon. I’ll fix that. Thank you fir your note! This recipe, Traci, is a golden treasure! I also have always wanted to work with spelt! 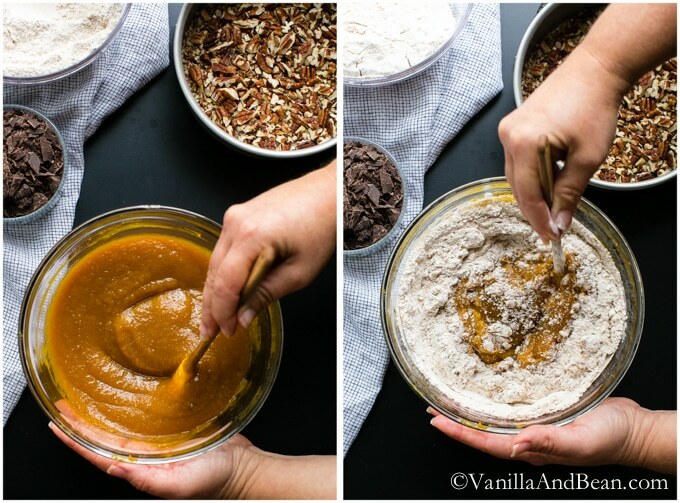 And I live for pumpkin bread so I seriously can’t wait to try this!! Hey Deb! I absolutely love this recipe… the chocolate chunks totally highlight the pumpkin and spelt is delicious! I hope you enjoy it! I just used spelt flour to make pumpkin bread this week. I used my standard recipe for sweet quick breads, but subbed the whole wheat flour I usually use for spelt. The first try was good, but way too moist, which I guess was because I had too much liquid.Second go was amazing though! Traci – oh my goodness! You did it again! That pumpkin bread looks so amazing that I just had to show my boyfriend. We’re in love with anything pumpkin and I am definitely going to make this soon. Wow!! Thank you for this great recipe, Traci. This is the most insane pumpkin bread I’ve seen! Have just cooked a large batch of pumpkin and cannot wait to get baking. Have been baking with spelt flour for quite some time now and it’s a fabulous alternative to AP or wholemeal flour. The results are deliciously healthy. Great recipe Traci. You can never go wrong with pumpkin and chocolate and glaze, that glaze is calling my name. The darker days… you know! It’s quite tasty, with a subtle nuttyness to it. I’m enjoying it. Haha.. A large spoon is what I used! :D Thank you Kathleen! This pumpkin bread looks fantastic! I love the glaze and your pics are beautiful!! Such gorgeous photos, Traci!! I love that you made this with spelt – I don’t have any experience with it, but I find every time I try a new-to-me flour it adds such a different and wonderful dimension of flavor. Have a great week, lady! These photos = gorgeous! I could stare at them all day! I’ve used spelt flour in the past, but it’s been a while. I should get back on that horse I suppose. This is fall baking at it’s finest. Glad you guys finally got some rain. Hard to believe all the weather reports about Washington this year – no rains, fires, etc. It’s a bit scary! Thank you, Liz! I hope you’ll give spelt a go again.. I won’t bake with it all the time, but it certainly is a better flour than AP as far as using whole grains go. No doubt, WA has had a tough Summer. It’s the first time I’ve ever seen Doug Fir Saplings dying from lack of water. :(. Scary, yes. 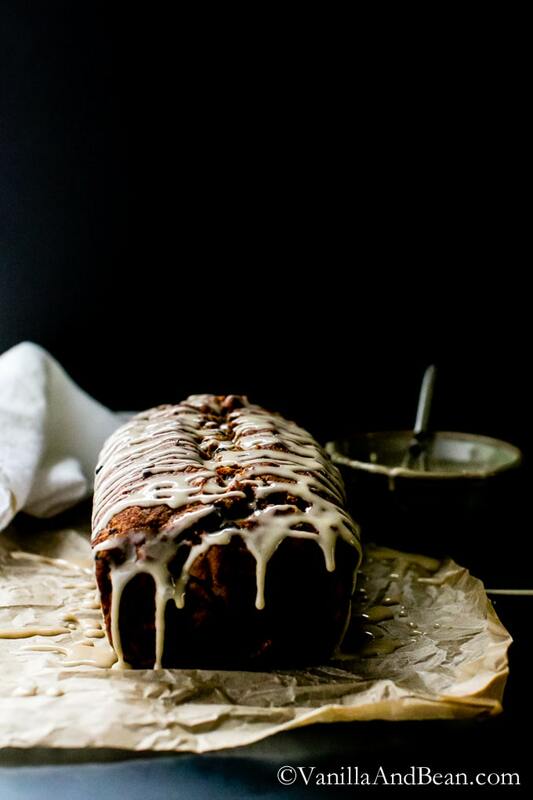 I love the chocolate and pumpkin combination in this bread and that delicious vanilla maple glaze must be compulsory! I had a hard time reading this post because I was so distracted by the pictures! haha! They’re stunning and are making my mouth water! I love shooting on a cloudy too. It rarely happens but when it does, it creates the most beautiful light. Ugh, I wish it would rain here! Thanks for sharing this beautiful bread, Traci! I hope you have a lovely weekend! This bread looks SO DELICIOUS!!! Your photos are SO GORGEOUS!!! One of these days I need to muster up the courage to play with spelt flour. Until then, I’m just gonna drool looking at this post. I wanted to go to IFBC so bad, but I just couldn’t make it work out. Oh well. Hopefully next year. I’m so happy you had such a fun time! 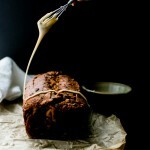 And this Pumpkin Chocolate Pecan Bread looks ridiculously tasty!!!! And may I just say that the very first photo in this post is EPIC?!!! 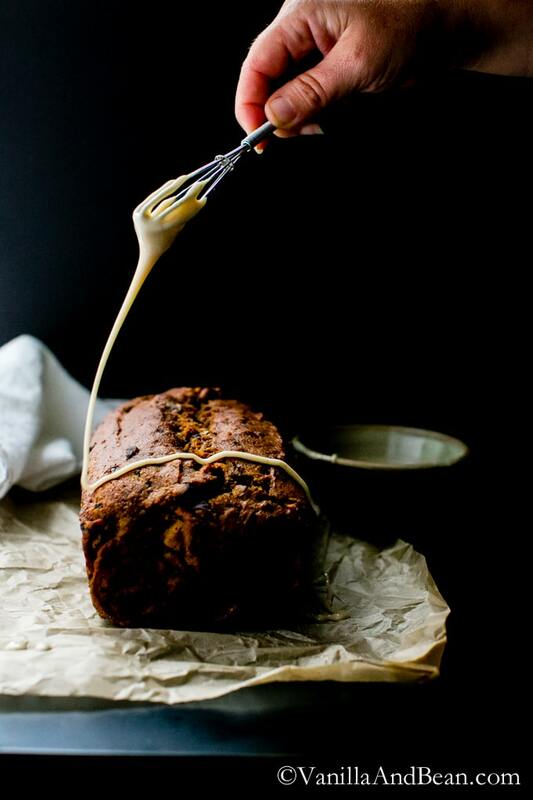 Dark food photos speak to me more than any other style and I think you have done an incredible job with the light in this post. I love how you used the shadows on the right side of the image and how romantic they look.. I can only imagine how fun it must have been to shoot this cake with the sound of the rain coming from outside. So beautiful..
Big hugs and kisses… Cheers, my friend! Get back at that Spelt Aysegul! I’m still easin into it.. I mean, there are baking considerations when working with it, so while experimenting is one thing, when I need a tried and true, I’ll either use a trusted spelt recipe or just revert to AP and Whole Wheat White – of which I am more familiar with when it comes to quick bread, scones, and muffins. Thank you for your feedback on my photog, which means so much given your art. Dark photog is new to me, and I’ve been practicing. It can be tricky for sure, but I think I’ve found a few things that work – Hooray!! Oh yum – this is gorgeous! I recently bought spelt too – so far I’ve made pancakes with it, which were good! Now I’ll have to give this one a go. Thank you Chelsea! Hooray for spelted pancakes! I did recently try it in Waffles too and it was really tasty! I’ll be doing more with it. The dark photog is absolutely stunning. And different for you. I am in love with the effect. Now, gotta experiment with spelt! I bet it would be great in my sourdough. Wow – these photos are just stunning, Traci! The pumpkin color of the bread against the dark background just jumps out at you – truly gorgeous. I have yet to try spelt – it wasn’t even on my radar – but after seeing this lovely bread I will have to look for some. Have a great weekend, T! Feeling very jealous of your rainy day. Haven’t gotten one of those yet this fall, and they are my very favorite kind of days. Perfect for staying in and baking. 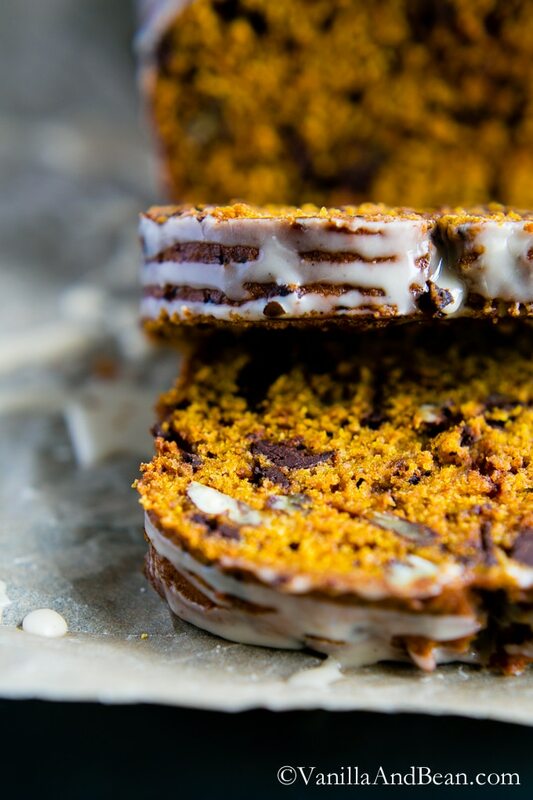 This pumpkin bread looks gorgeous Traci! And you’ve inspired me to try spelt flour. 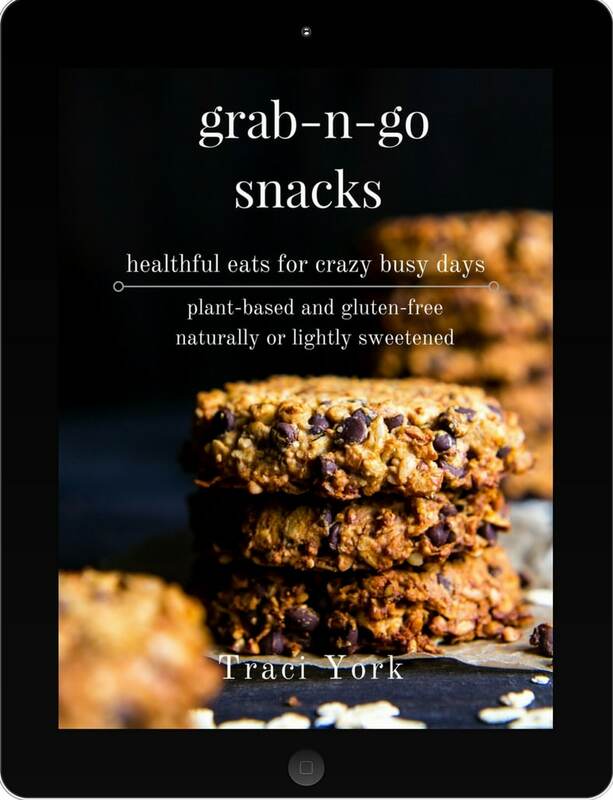 Sounds delish…..must try! I have two sugar pumpkins just waiting to be baked. Ohhhh, sugar pumpkins are so fabulous! I’ll be picking up a few of those next week and roastin them up! :D Thank you, Sue! Oh, I’m so glad you forged ahead, Traci! This bread looks incredible. A good cup of coffee, a slice of that…perfect afternoon! Thank you for your support Andrea! :D Ohhh a cup of coffee, rain and this? Why, I think that sounds perfect! Love everything about this bread! And the way you described it – I just want a slice right now! :) Great photos! Pinned! This is really sensational. Like wowza girlfriend! Gorgeous as always! Agreed, your darker photos are beautiful and inspiring. I’m so happy you posted a recipe with spelt! It really is a wonderful grain. It’s so fun baking with whole grain flours and having the different flavours and textures with. I find spelt much nicer for baking than standard whole wheat flour, hands down. And white flour just isn’t exciting enough by itself ;) I have a bunch of winter squash from the market, and no pumpkin loaf recipe, so this might be a weekend project! Thanks Traci! Looks and sounds delicious. Especially with the maple glaze. I need to head over to my local farm and see if they have Winter Luxury. Love to try different pumpkins. If I was to substitute the spelt for whole wheat flour, what hydration would you reduce? Also if my market doesn’t have coconut oil, can I substitute vegetable oil? Thanks. Hi Donna! Just to clarify, when subbing with spelt, hydration needs to be reduced slightly (this is for recipes calling for refined or whole wheat flour). This is a work in progress for me as I am new to the spelt world. But, I have made this with 50:50 whole wheat white and AP flour and in that version, I added, If I recall, 3-4 Tbs of water to the wet ingredients. Then when I made this version, I tweaked the sugar (which impacts moisture as well) and then reduced the water to zero because I added spelt. Vegetable oil will be fine. If you give this a go, please let us know if the substitutions work for you and in what quantities. Thank you, Donna! thanks Tracy. I’ll play around with it and will definitely let you know. Thanks for your reply. Oh Traci, this bread looks wonderful! Your photos with the dark background and shadows just evoke the warm, cozy feeling of fall for me! I LOVE the wonderful fall flavors of the pumpkin, pecans, cinnamon and maple you incorporate into this recipe. I have not tried spelt flour yet. I saw it in a recipe I came across for a coconut cup crust, but have yet to try. Now it will be on my list, as will this delicious bread! Thanks for sharing, and have a great weekend!